Dracula is the most famous of all vampires to have ever existed but what few people don't know is that he had a son. Why do people not know of this young bloodsucker? Because he has spent many of his days at Monster School learning the ins and outs of being a member of the undead. There he learned how to become a bat in mere seconds and also the correct way to put people under a spell so they can do his bidding. But every Halloween this young vampire is allow to go out and do what he wants. 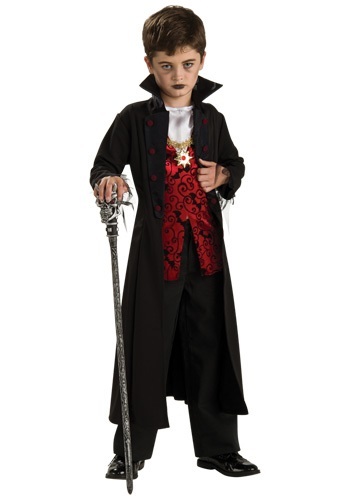 Now your little one can become the vampire royal in this awesome and scary costume.